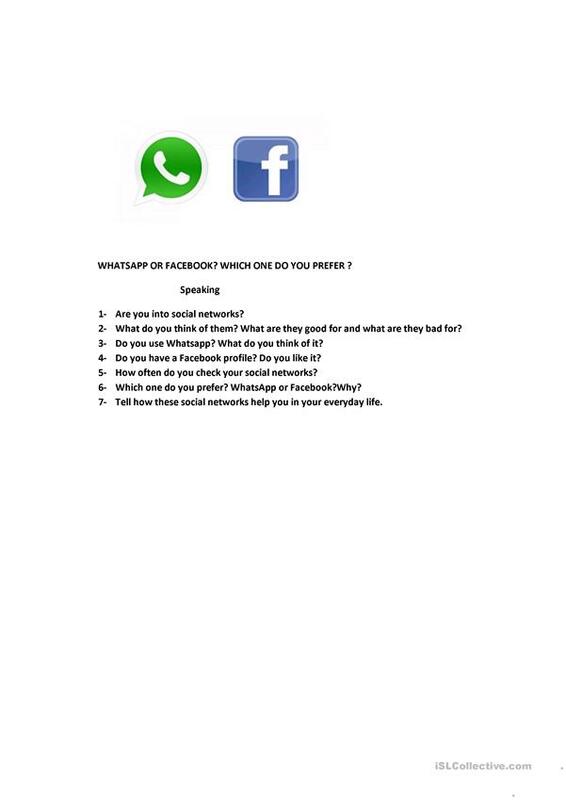 The objective of this ws is to talk about social medias, whicho one sts use the most? Whatsapp or FB? This ws has questions to speak about /debate about the subject. There's no solution. Good to practice speaking. This printable, downloadable handout is a great resource for high school students and adults at Elementary (A1), Pre-intermediate (A2) and Intermediate (B1) level. It is great for teaching Questions in English, and is useful for developing your students' Speaking skills. It is focused on the vocabulary topic of World.